NB: Special thanks to Chris Smith for his valuable contributions to this article. “I want to set a mark and be a mixture of Rio Ferdinand and John Terry.” John Stones immediately set the bar of expectation high when he spoke to FourFourTwo’s Jonathon Fadugba in June 2015. Setting his sights on becoming the embodiment of arguably England’s two best defenders of the past fifteen years was a bold call; but one which he seems destined to fulfil. Stones is the type of centre-back with whom there is a kind of whimsical fascination. He has the ability often associated with defenders on the continent. Unafraid to take control of the ball under pressure, he has the composure to play calm and accurate passes and the fleet of foot to dribble the ball out from the back, much like Ferdinand did in his prime. The comparison to Ferdinand in particular is clear and one that several experts have made reference to, Southgate included. However, the boots of Ferdinand and Terry are arguably some of the hardest to fill and any centre-back in the world would struggle to fill the holes the pair left at Manchester United and Chelsea respectively. Whilst Stones is unlikely to grab the headlines in the same way as Harry Kane or Raheem Sterling, he has all the potential to become one of England’s best defenders, emulating Ferdinand and Terry. His solid displays for Everton last season have reinforced his burgeoning reputation. At 21 years of age, Stones has already proven himself to be a capable, first team centre-back as well as one of Everton’s prized, young stars. His performances remained consistent despite a setback through an ankle ligament injury sustained in October 2014 which caused him to miss much of the first half of the Premier League season. I spoke to football writer and Everton fan, Chris Smith about Stones’ performances last season and he was full of praise for the 21-year-old. “Stones was one of the only Everton players to enhance his reputation last season. He steadied the ship of a leaking defence twice. The ankle injury came at a bad time for Stones and Everton who were struggling defensively but his return to the side had an instant positive impact. He’s become the direct heir to Sylvain Distin, forming a solid partnership with club captain and England compatriot, Phil Jagielka as Everton finished the season much stronger than they began. Chris also discussed how and where Stones has improved his game; “He certainly has (improved), most notably in his defensive contribution: more blocks, tackles and interceptions, tighter marking and, ultimately, a good partnership with Jagielka. 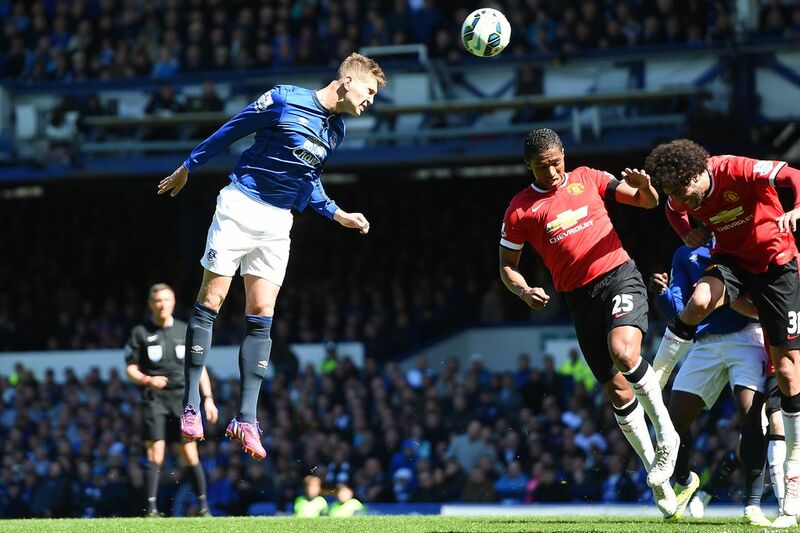 The crowning moment for Stones last season came at Goodison Park against Manchester United where the defender scored the opening goal, and his first for Everton in a 3-0 rout of United in April 2015. A Leighton Baines corner was met by Stones at the near post, who lost his marker with ease and glanced a free header over David De Gea and the United defence who were unable to clear the ball. Stones has shown himself to be capable of handling some of the Premier League’s most potent forwards in the form of Sergio Agüero and Wayne Rooney. His talent has inevitably attracted the bigger clubs and José Mourinho’s Chelsea have already made a £20 million offer this summer which was rejected by Everton. However, the rumours remain strong that Mourinho will return with a bigger offer for the young defender and seriously test Roberto Martínez and Bill Kenwright’s resolve. Whether a move to Chelsea at this stage in his career would be right for him is certainly up for debate. Would he play the same amount of minutes in the Chelsea first team that were crucial to his development at Everton? Could he handle the pressure of competing for four trophies every season? These are all questions which need to be considered, especially since he’s still learning his trade. Stones is still young and has lots of time to develop his full potential. With the right coaching and first team opportunities, he could become the Terry/Ferdinand hybrid that he aspires to be. He developed his talents considerably last season despite his injury problems, solidifying the Everton defence and becoming a key first team player. 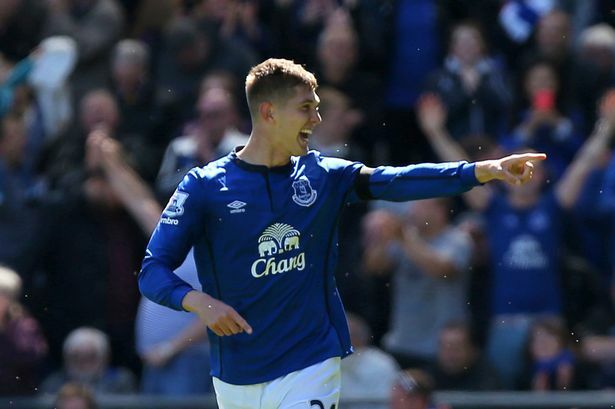 Everton is the perfect club for Stones to continue his development. The Toffees style of play suits his game and the guarantee of first team football ahead of the 2016 European Championships in France is exactly what he needs. A move to a top four team is almost certain but the timing is not quite right just yet. Final rating: 4/5 stars. A world class centre-back in the making. He proved to be a shining light for Everton last season; he went from strength to strength and should only get better.